Are you interested in advocacy and research among topics like sexual and reproductive health and rights, enhancement of gender equality, promotion of youth livelihoods and entrepreneurship & skills development? And this all together while you immerse yourself in a dynamic and inspiring context such as Uganda? 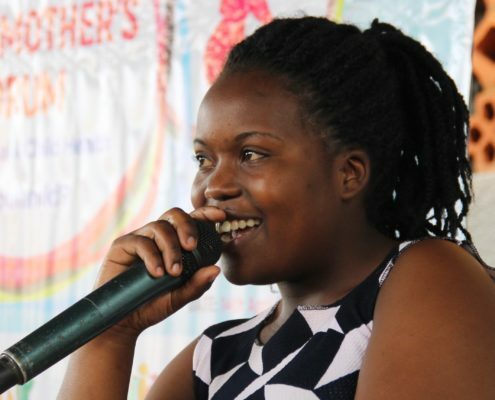 One of our partner organisations, the Uganda Youth and Adolescents Health Forum (UYAHF), is offering several internships to support their local program areas of intervention. The University Centre for Development Cooperation (UCOS) is a Belgian NGO which aims to strengthen the global citizenship skills among students in higher education. We work together with our partners and our target audience to achieve sustainable human development by promoting global conscience and active global citizenship. UCOS is affiliated to the Vrije Universiteit Brussel. 3. Promotion of youth livelihood program (innovations, entrepreneurship & skills development): The youth livelihood program is aimed at promoting and expanding opportunities to entrepreneurship and skills development for all young people, particularly adolescent girls and women. This program is implemented under the youth hub project. The Youth Hub provides a free and safe space for young people through skilling, recreation and learning. At the Youth Hub, young people also directly engage in sharing, dialoguing and learning discussion focusing on abovementioned topics. Organisation and facilitation of youth hub activities across the three Youth Hub elements of skilling, recreation and learning. Research and analysis regarding relevant issues such as gender equality, health and wellbeing or youth livelihood in Kampala or a refugee settlement in Kyegegwa district. Also, special interests in human rights, advocacy, teenage pregnancies, etc. could be included in this research. Assistance in daily monitoring of ongoing projects: Ensonga Project Menstruation with Dignity, Pulani Ki Campaign, She Decides, Giving Young Voice choice Control Project, Youth for Safe Motherhood Projects among others. Organising community and school outreaches to reach out to young people in communities with correct and appropriate information, education on HIV and teenage pregnancy prevention, gender equality, prevention of sexual and gender based violence among other issues. Support the team on communication activities such as updating content on the website, managing social media accounts, draft newsletters, assist in preparing annual report, etc. Other focuses can be proposed by the intern. UYAHF commits themself to develop a role for the intern that fits the student and is valuable for UYAHF, and coach the student during this internship. The internship placement provides interns a chance to get to know the reality of how a local NGO in Uganda works and how a youth organisation is actively engaged in policy advocacy work. Interns directly engage in policy advocacy engagements with policy makers from various NGOs, media, international development agencies and government institutions. The interns are also tasked to support and facilitate UYAHF’s communication and documentation, regular planning, and M&E processes where need be. The skills, insights and experiences attained from the internship prepares interns for possible career in international organisations and development cooperation. The internship will take place at the office of UYAHF in Kampala or Kyegegwa (Uganda). Internships should at least take 1 month. However, we encourage students to extend their internship (voluntarily) for between 6 months to 1 year to deepen their working experience and have a greater contribution to UYAHF. Long-term interns are preferred. It is possible to plan the internship at any moment of the year (academic year and summer). Interns have to cover all costs related to this internship (travel cost, accommodation, local expenses). Students can apply for a scholarship through their university or university college. UYAHF can have a mediating role in finding an accommodation or host family. If you are interested in above mentioned internship positions, please send a motivational letter and your resume to Loes Verhaeghe (Gender Officer at UCOS): Loes.Verhaeghe@ucos.be. If you have any questions you can contact Loes by e-mail or call 02 614 82 65. Internship should at least take 1 month. However, we encourage students to extend their internship for between 6 months to 1 year.